For MGallery by Sofitel, spring 2016 has been a strategic season filled with key regional expansion and important ‘firsts’. Following MGallery by Sofitel’s recent development in Southeast Asia, the brand has set its sights on growth in Israel. 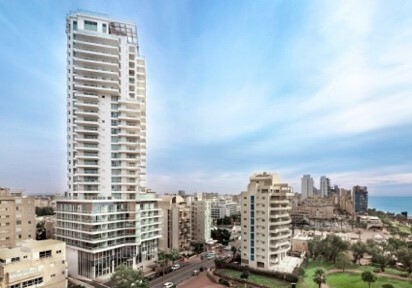 David Tower Hotel Netanya MGallery by Sofitel, opening in May 2016, will be its first address in Israel. The brand also continues its development in South America with the recent opening of Hotel Santa Teresa Rio de Janeiro MGallery by Sofitel. It is the brand’s first hotel in Brazil, and second hotel on the continent. Today, MGallery by Sofitel has more than 80 hotels in 23 countries worldwide. These two unique hotels have been chosen for their memorable character and charming luxury,. Throughout MGallery by Sofitel’s expansion to new destinations, the brand remains dedicated to creating a collection of hotels for engaged explorers who are fueled by passion, curiosity and an interest in the world around them. Opening in May 2016, David Tower Hotel Netanya MGallery by Sofitel is an elegant and modern tower located in the fast-developing seaside town. Just steps away from the beach promenade, the hotel overlooks Netanya’s blue and golden coast on the Israeli Riviera. The name David Tower Hotel Netanya refers both to the hotel’s address on King David Street and the story which inspired its designers. The hotel tells the tale of Sultan David, an Ottoman conqueror who fell in love with the Mediterranean Sea, and with a lady whose identity was to be kept secret. The Sultan chose its shores to get the best architects to build a golden retreat for himself and his secret fiancée. Today, the hotel lobby features a modern interpretation of the romantic tale. Guests are greeted by a grand portrait of a woman who could have been the Sultan’s elusive mistress. The hotel is also scattered with decorative reminders of the Sultan’s penchant for the Mediterranean Sea and the mysterious lady. David Tower Hotel Netanya is a modern and opulent mansion that mixes European classicism and oriental features. The bright front lobby is a grand white and gold space with high ceilings and windows. The lobby features pockets of indigo and turquoise blues with warm lighting, cozy velvet chairs and vertical rugs. Behind deep blue and gold doors are lavish, comfortable nests that harmoniously combine classical features and modern technology. The hotel features 70 standard rooms, three junior suites and two suites. 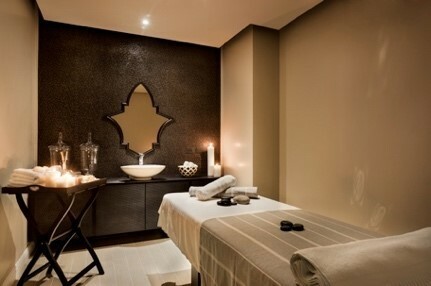 Guests can feel the power of serenity at the Via Maris luxury seaside spa. This indigo and gold sanctuary features a pool, a Turkish bath, a sauna and several treatment and massage rooms. The hotel’s restaurant features the alchemy of freshly cooked quality local ingredients combined with the magic touch of an inspired chef. The cozy library corner is an invitation to travel with beautifully illustrated Mediterranean tales and books about Sultan treasures and palaces, all while tasting delightful patisseries and tea. Finally, the bar features changing ambiances and themes and is host to musical events, for example around the lobby’s grand piano. Opened in March 2016, the new Hotel Santa Teresa Rio de Janeiro MGallery by Sofitel is the brand’s first address in Brazil, and its second address in South America (the first being the Brick Hotel Buenos Aires MGallery Collection in 2013). Located near extraordinary attractions such as the statue Christ the Redeemer, Sugarloaf Mountain, Copacabana beach and the Ipanema coast, Hotel Santa Teresa Rio de Janeiro MGallery by Sofitel is conveniently located to explore the city and the neighborhood. The trendy, bohemian Santa Teresa district has contributed a lot to the marvelous city’s artistic and musical heritage. It is perched on a hill overlooking the metropolis, and packed with breathtaking vistas, walls clad in graffiti bursting with colors, intact Art Deco buildings, mosaic-bedecked parks and countless other attractions. Bohemian-chic is all about enjoying a slow-paced and roving life, and most importantly keeping an open mind and enthusiastically embracing new experiences. 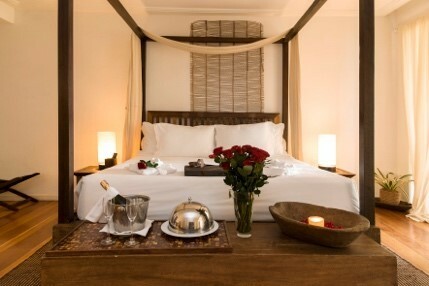 The brand new Hotel Santa Teresa Rio de Janeiro MGallery by Sofitel does just that. This atmosphere, which Cariocas cherish, steeps every detail in this amazing hotel where Brazilian artists and designers added the final touches. 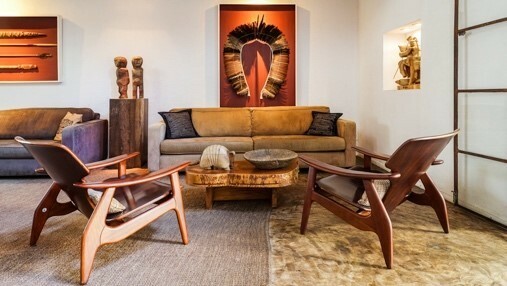 The lighting, color contrasts and warm natural materials intertwine into cozy moods. Everything about this place is exotic and soothing – starting with the super-king-size beds in the 43 rooms, spa, swimming pool with a panoramic view, and jacuzzi. The Hotel Santa Teresa Rio de Janeiro MGallery by Sofitel also thrills guests’ taste buds at Tereze restaurant. Argentine chef Pablo Ferreyra treats his patrons to up-to-the-minute flavors mingled with Brazilian mainstays which can be enjoyed with a panoramic view of the unbelievable Guanabara Bay in the background! The momentum continues this summer with the openings of Palazzo Livorno MGallery by Sofitel in Tuscany (June 2016), and Leicester Square MGallery by Sofitel in London (September 2016).